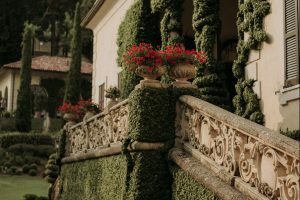 Ranveer Singh and Deepika Padukone opted for the charms of Lake Como for their nuptials and the breathtaking Villa Balbianello was their chosen ceremony venue with the stunning loggia (arches) decked out with mandap and flowers flown in especially. A custom designed Sabyasachi outfit might not be quite in your budget but Lake Como has lots to offer for Indian couples looking to celebrate their wedding with Italian romantic charm. Villa Balbianello was Ranveer and Deepika’s choice and you just have to hop off at the flower filled boat deck to see why. This impressive, immaculately kept Lake Como wedding venue is unique and you don’t have to be a Bollywood superstar to afford it. 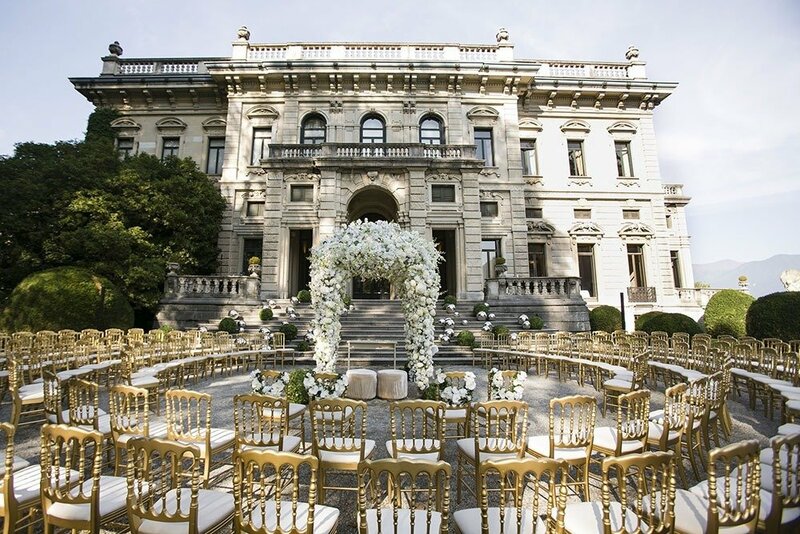 Lots of couples choose to have just the ceremony there, others choose to make the most out of their Lake Como wedding holding the whole day in this elegant spot. For Indian wedding standards however, Villa Balbianello can be a little on the small size, ideal for weddings up to 80 but if you are looking for a grander affair, don’t worry, there are more wedding venues to discover From the Indian music that could be heard across Lake Como CastaDiva was clearly another venue used by the lovebirds Ranveer and Deepika, rumored to be the setting for their sangeet and mehendi ceremonies. This luxurious 5 star hotel on the banks of Lake Como exudes glamour and would wow even the most demanding guest. From one luxury spot to another, Villa Erba is a prominent villa set in extensive grounds overlooking Lake Como and the mountain backdrop. It effortlessly combines lavish interiors with natural beauty making it the perfect wedding venue for a spectacular large Indian destination wedding . 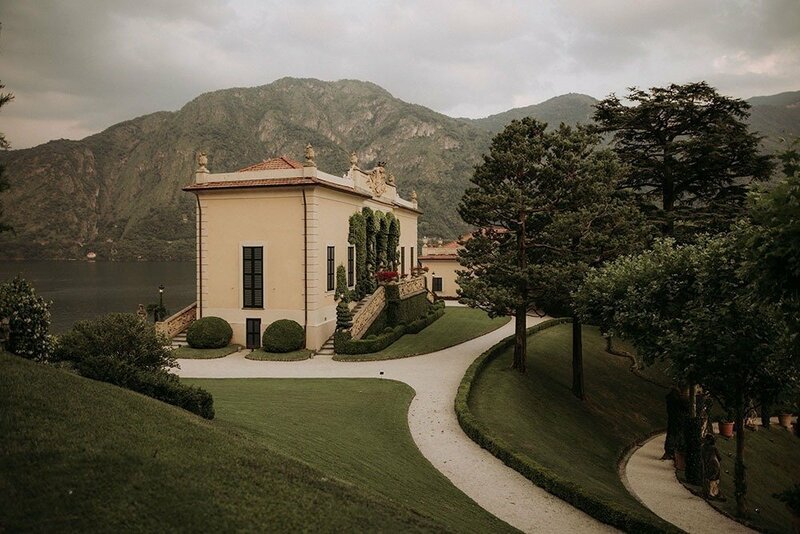 You don’t need to go far to stumble across yet another magical Lake Como wedding venue. Villa D’este is one of Lake Como’s exclusive 5 star hotels and it’s intricate mosaics are the perfect spot for a fairy-tale Indian wedding. 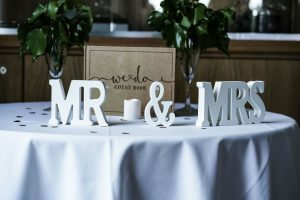 You might wonder if suppliers and vendors for your Indian wedding are easy to come by in Lake Como and as a Leicester born wedding planner who has organised many large Indian weddings back in the UK, there are certainly not the same number, but with local contacts as well as our trusted Indian wedding specialist collaborators both in Italy and the UK, every base is covered. 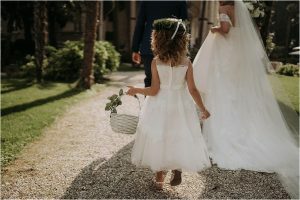 So if you are thinking about having your big fat or indeed small and intimate Indian wedding in the Italian Lakes, get in touch and let us know more about the two of you!